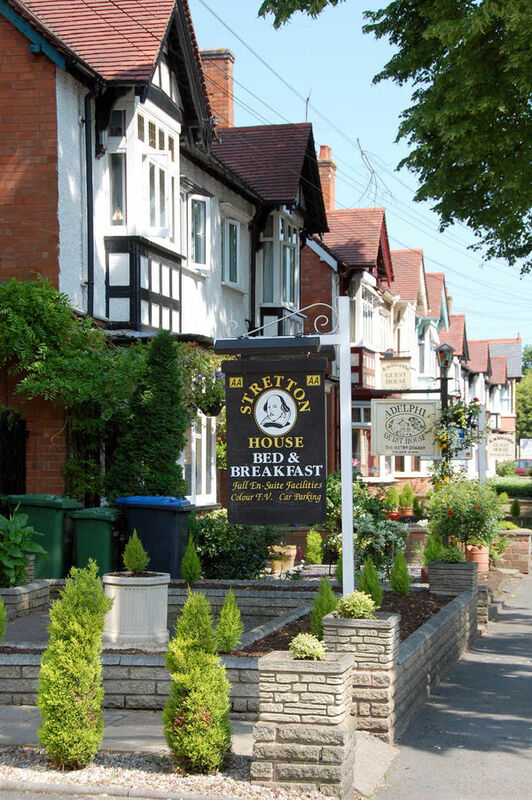 In many British and Irish towns, B&Bs line up along the same street — find one, and you've found four or five more. 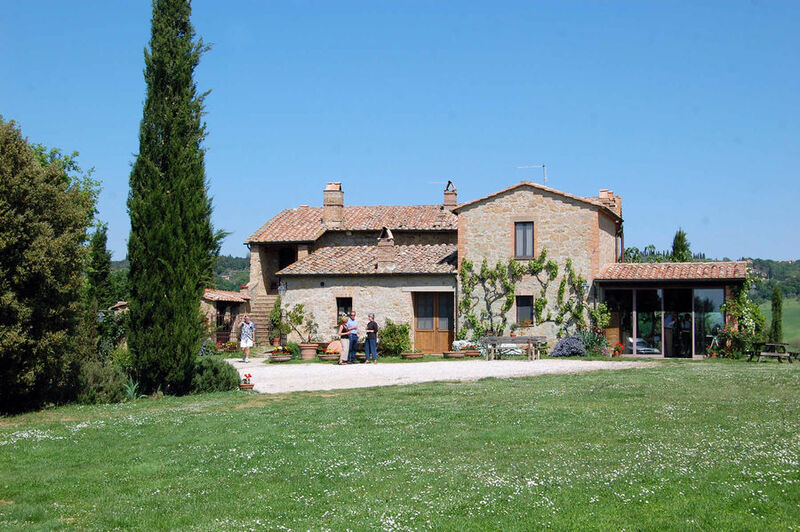 “Agriturismi” vary wildly in quality — some properties are rustic, while others are downright luxurious, offering amenities such as swimming pools and riding stables. B&Bs are generally small, warm, and family-run, and offer a personal touch at a reasonable price. While B&Bs often lack the conveniences of a hotel — such as fancy lobbies, restaurants, and in-room phones — I happily make the trade-off for the personal touches that they do offer, whether it’s joining my hosts for tea in the afternoon or relaxing by a common fireplace at the end of the day. And unlike American bed-and-breakfasts, which are usually frilly, fancy places that cost just as much as hotels, B&Bs in Europe are generally cheaper than comparable hotels. Each country in Europe has these friendly accommodations in varying degrees of abundance, facilities, and service. While I commonly refer to all of them as bed-and-breakfasts, some include breakfast and some don’t. They have different names from country to country, but all have one thing in common: They satisfy the need for an affordable place to stay that gives you the privacy of a hotel while keeping you closer to the everyday life of the culture you came to experience. 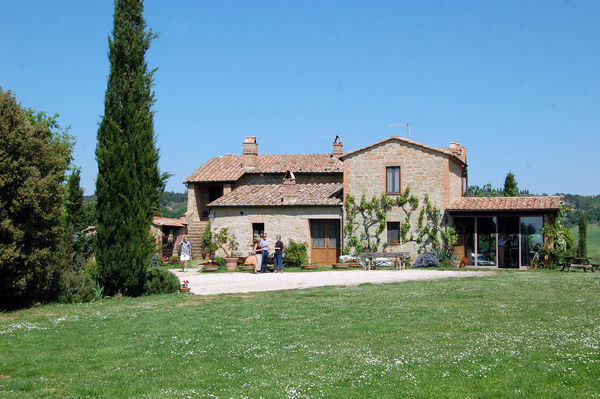 I especially enjoy staying at farmhouse B&Bs, such as those in Britain or in Italy (where they’re called agriturismi). Like in the US, many family farms are struggling to survive. By renting rooms to travelers, farmers can remain on their land and continue to produce food. Not only do farmhouse B&Bs provide a quiet, restful place to call home, but they can also give you a peek at some fun traditions, such as a hot-water bottle for the bed to warm it up at night. B&Bs aren’t for everyone, though. Some either don’t allow kids or require them to be over a certain age (usually somewhere around 8–12). Rooms may be tucked away in attics or perched at the top of several flights of stairs — a negative for those with mobility challenges. It’s not uncommon for B&Bs to require two-night stays, especially in popular weekend-getaway spots. Although more B&Bs now take credit cards, they may add a service fee to your bill. Many others are still cash-only. While information on more established places is available in many budget-travel guidebooks, the best leads are often found locally, through tourist information offices, or even from the man waiting for his bus or selling apples. Especially in the British Isles, many B&B hosts have a network of favorites and can happily set you up in a good B&B at your next stop. Many times, the information is brought to you. I’ll never forget struggling off the plane on my arrival in Santorini. Fifteen women were begging me to spend the night. Thrilled, I made a snap decision and followed the most attractive offer to a very nice budget accommodation. Even though B&Bs are family-run, it doesn’t mean you have to feel pressure to become “part of the family.” Chatty friendliness is not forced on guests. Depending on my mood and workload, I am often very businesslike and private during my stay. On other occasions, I join the children in the barn for the sheep-shearing festivities. While you can find good family-run accommodations in any European country, the best ones are in Great Britain and Ireland. B&Bs in the British Isles typically have several rooms and are run by a charming couple or family (I generally avoid B&Bs run by owners who live offsite). Amenities like free Wi-Fi and an in-room tea kettle (with tea and coffee supplies) are standard. The best part is the huge, home-cooked breakfast — the Irish or English (or Scottish or Welsh) “fry.” While you’re finishing your coffee, the host (who by this time is probably on very friendly terms with you) may present you with his guest book, inviting you to make an entry and pointing out others from your state who have stayed in his house. Your host will sometimes cook you a simple dinner for a good price, and if you have time to chat, you may get in on an evening social hour. When you bid him farewell and thank him for the good sleep and full stomach, it’s often difficult to get away. Determined to fill you with as much information as food, he wants you to have the best day of sightseeing possible. Look for Zimmer Frei, Privatzimmer, or Gästezimmer. These are very common in areas popular with travelers (such as Austria’s Salzkammergut Lake District and Germany’s Rhine, the Romantic Road region, and southern Bavaria — but they’re rare in Switzerland). Especially in Austria, one-night stays are discouraged. Most Privatzimmer cost about $40 per person and include a hearty breakfast. Pensionen, Gasthäuser, and Gasthöfe are similarly priced small, family-run hotels. Don’t confuse any of these with a Ferienwohnung, which is a self-catering apartment rented out by the week or fortnight. The French have a growing network of chambres d’hôte (CH) where residents, mainly in the countryside and in small towns, rent double rooms for about the price of a cheap hotel ($80–120), but with breakfast included. Some CHs post chambre signs in their windows, but most are listed only through tourist information offices. While your hosts likely won’t speak English, they will almost always be enthusiastic and happy to share their home. If you want to stay in a countryside house (gîte), visit Gite.com or Gîtes de France for options. These usually luxurious B&Bs — advertised as a rom, hus rum, or, in Denmark, værelser — cost about $45 per person. By Scandinavian standards, these are incredibly cheap. If your Scandinavian B&B is serving breakfast, eat it. Even at $15, it’s a deal by local standards and can serve as your best big meal of the day. Some hosts provide a roll of foil so you can pack up a lunch from the breakfast spread. If that sounds like a good idea, just ask. Travelers get an intimate peek into their small-town, whitewashed worlds by renting camas and casas particulares in Spain and quartos in Portugal. In rural Iberia, wherever there’s tourism, you’ll find these budget accommodations. Breakfast is rarely included. Hostales and pensiones are easy to find, inexpensive, and, when chosen properly, a fun part of the Spanish cultural experience. These places are often family-owned, and may or may not have amenities like private bathrooms and air-conditioning. Don’t confuse a hostal with a hostel. A hostal is an inexpensive hotel, not a hostel with bunks in dorms. You’ll find many $60-per-room dhomatia. Especially in touristy coastal and island towns, hardworking entrepreneurs will meet planes, ferries, and buses as they come into town at any hour. In Greek villages with no hotels, ask for dhomatia at the town taverna. Forget breakfast. In these countries — where mass tourism and overpriced resort hotels reign — private rooms are often the best deal in town (but breakfast usually isn't served). You’ll notice signs advertising sobe (rooms) everywhere you look, or you can book one through a travel agency (10–30 percent extra). You’ll generally pay extra if you stay less than three nights. Along the Dalmatian Coast, sobe skimmers meet every arriving ferry, targeting backpackers and eager to whisk you away to see their room. In the Slovenian countryside, look for tourist farms (turistične kmetije), where you can sleep in a family’s farmhouse for remarkably low prices. Croatia’s Istria region has similar agroturizams.